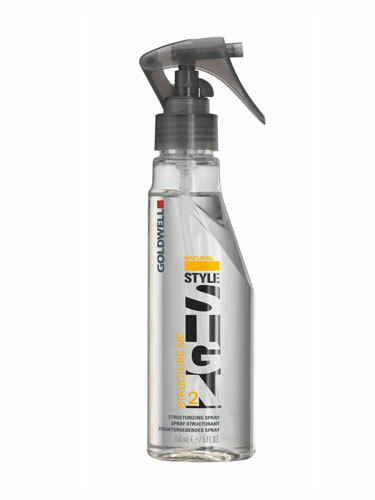 Goldwell StyleSign Structure Me is a lightweight structurizing spray to enhance natural and layered cuts. It adds texture and structure with a natural sheen and is also ideal for refreshing styles. Provides heat and color protection. Spray evenly only towel dried hair and style.